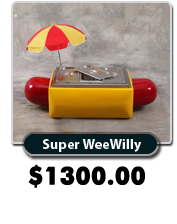 Free Hot Dog Cart Business Manual! Want to know how to start and run a food concession cart business? 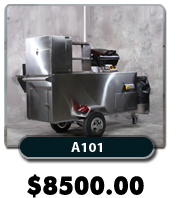 Carts of Canada tells you how in our Hot Dog Cart Business Manual. Just Starting Out in the Retail Food Business? You are about to discover how you can start your very own business, have fun, make money, and work less. Does that sound like something you would like to do? But is it just a pipe dream? Read on. The food service industry is growing. People always have to eat. The future trend is towards take out and take away food. The up and coming generation does less and less home cooking and buys more and more prepared foods from vendors. 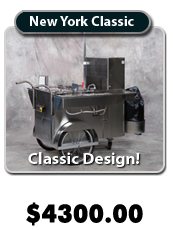 You can ride this trend to business success with a Food Vending Cart from Carts of Canada. 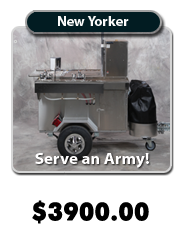 Carts of Canada manufactures high quality mobile food vending carts. But even more, we help you get started in your new business by cutting through the red tape and showing you how to make your new business a success. So why isn’t everyone starting a hot dog cart business? They don’t know how to start a business. They don’t have the finances to start a new business. They get stopped by the health code regulations red tape. They know nothing about the food industry. They are afraid of trying something new. Carts of Canada helps you overcome these obstacles and show you how to get started in your new food vending business. parking lots for large stores, malls, or plazas. industrial parks or factory complexes. a downtown street or parking lot. large office buildings or business complex. a large school, college or university. a busy park, zoo, beach, or other recreational area. a transportation hub such as a bus, subway or train station. Once you have scouted out a few good locations, you need to check the availability. Check with the municipality for by-laws concerning locating on public property. Check with business owners to see if you can locate on their property. Many will be happy to have a quality food service preovider near by to feed their employees or draw customers. 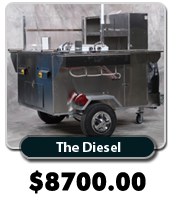 For more detailed information on this step of starting a Mobile Food Stand business, click here to read our free Canadian Hot Dog Cart Business Manual. Step #3 in the guide will show you more about scouting out a good location. How do you start a new food business? You must register your new business with the government. The government helps you with this with its CanadaOne website to guide you through this process step by step. It involves deciding what kind of business you will be and how you will send them their taxes. It also includes choosing a business name and being assigned an official busines number (BN) with the government. Once you have registered with the Federal (GST) and Provincial (PST) governments then you must get a license from the local municipal government. The city government may also require you to obtain a location permit if you are going to set up your cart on public property such as a street or park. 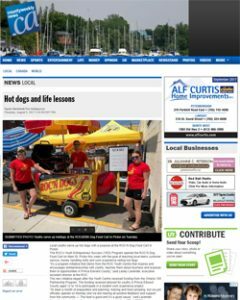 For more detailed information on the step by step way to start a Mobile Food Stand business, read our free on-line Canadian Hot Dog Cart Business Manual. Step #1 shows you how get set up with the necessary licenses and register your new business. Carts of Canada will help you take care of that as well. 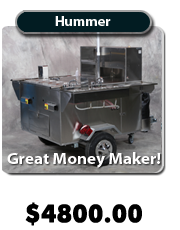 For more information on financing your new Hot Dog Stand Business, visit our Financing section. How do you get Health Department approval? First you must check and see what the local Health Department requires of food service personel. You can check with them using the links we have provided below. Your regional health department may require you to take a training course in safe food handling. 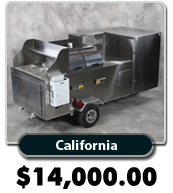 They may also determine what foods you may or may not serve from a mobile food facility such as a hot dog cart. They will also specify what equipment you are required to have on your cart to make it legal. This will also help you to select the right model of cart from our catalogue. Finally, they may want to physically inspect your cart to see that it conforms to their specifications. 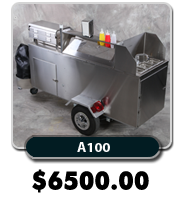 For more information on meeting the health code requirements for mobile food stands, see Step 2 in our free on-line Canadian Hot Dog Cart Business Manual. What if you have no experience in the food industry? We have over 20 years of experience and we are eager to share it with you. 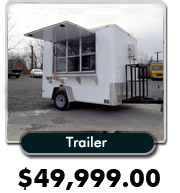 Carts of Canada customers have access to an online business guide and a hot dog cart operations manual which will guide you in the day to day operation of a hot dog cart or even a larger mobile kitchen trailer. This manual is written in easy to read, plain language, and all of this valuable information is free of charge. 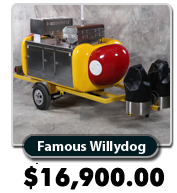 If you are not afraid of starting something new, call us and let’s discuss your new hot dog cart business. Many of these health department sites deal with much more than just information related to Mobile Food Vending and Hot Dog Carts. To effectively find the information you need, use the Search Box using terms related to the Hot Dog Vending Industry such as: hot dog carts, food safety, food inspection, mobile food vending, concession stands, itinerant food vending, restaurant, food premises, mobile prepration premises, food licensing, hotdog cart, hotdog carts, food preparation, food handling, food training, food business, and so on. Quebec Ministry of Agriculture, Fisheries and Food. In most regions of Quebec, food service and restaurant inspection is carried out by the Ministère de l’Agriculture, des Pêcheries et de l’Alimentation – Direction de l’appui & l’inspection des aliments. Sakatchewan Regional Health Authorities. Click on your region for local contacts or search for Food Safety. Links to some municipal health departments across Canada listed in alphabetical order by city name. Toronto Dine Safe Site info on contacts and food handler training. The National Hot Dog and Sausage Council – A site sponsored by hot dog and sausage producers to promote the tube steak. Excellent information on history, statistics, and recipes. Montreal Food A site about food in Montreal – search hot dog carts.